Special thank you to David for the cover picture. 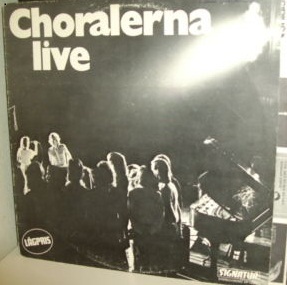 How about the release "Let There Be Light" by Choralerna? Sorry don't have that one at this time. Hi diakoneo, I'm looking for the music sheets of the choralerna-songs. can you help me? Sorry, I have no idea where to find that. Try Searching for the song title and the publisher. Would probably be in Europe. UK or Sweden. Check back cover of album or record label to find publisher.